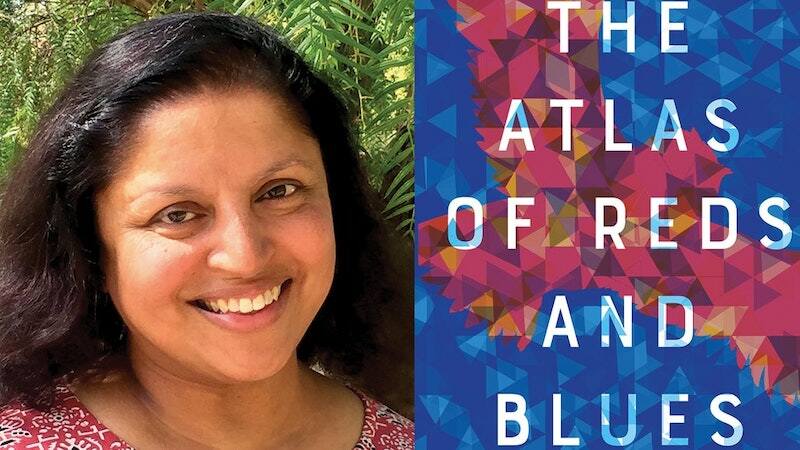 Devi S. Laskar’s The Atlas of Reds and Blues is published this month. 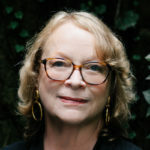 She shares five books on being “Other” in America. I love how in reading this book I’m located and dislocated at the same time. Part personal geography, part autobiography, all poetry: “the veil also between what you want to see and cannot see, what you wish to have heard but did not hear.” An elongated palindrome-essay-poem that can be read forwards and backwards, written with so much tenderness toward the named cities and the family, spirituality, history, sexuality, politics, and making art. 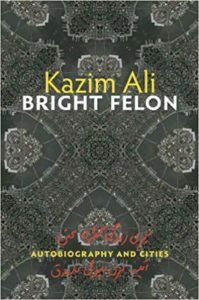 Jane Ciabattari: In Bright Felon Ali writes, “I realized I have lived in six cities in five years.” And in an interview he notes the honest intent in writing Bright Felon: “that I would be able to claim myself as an entity and my body as a place, that I would be able to claim my self and name myself. I went through the stage of realizing no place I ever was could be or would be home. And then I went through another door and now, really, every place I go to, even for a couple of days, or for a week, becomes quickly very familiar to me. I sketch out the surroundings—where is the coffee shop, where is the bookstore, where is the yoga studio—and because I am a creature of habit I become a ‘regular’ fast. The locals suddenly know me and it’s always a surprise to them that I am just passing through or staying for a little while. And then I dream of going back to these beautiful places: Laramie, Wyoming. Lewiston, Idaho. Idyllwilde, California. Walla Walla, Washington.” How do you think his powerful sense of place and of cities makes him feel “other”—or that he belongs? Devi S. Laskar: I think they do both. I appreciate the internal conflict. The narrator is making this huge effort to integrate into the newly adopted place or city, to belong for an instant, or for the length of his stay. But the real story of this story, to me, is that he is truly not at home anywhere he goes. He only dreams of going back to these places, but he doesn’t really act on these dreams. These brief interludes where he’s at home only sharpen the contrast of his isolation. I’ve loved this book since I first read it in 1995. It is the first example of a hybrid that was shown to me: a novel as a whole and yet each chapter is an individual poem. A protagonist of color, who is a girl, seeing beauty in the midst of all the ugliness. It sung in my heart. I love the anniversary edition because Cisneros included a moving essay about her life and her mother and the creation of her debut novel. 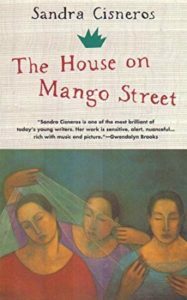 JC: If it were published for the first time today The House on Mango Street might be considered a novel-in-flash, as Cisneros uses that distinctive brief but potent form for each chapter. And her language is sharp and poetic at once, as she describes the “otherness” outside her neighborhood: “All brown all around, we are safe. But watch us drive into a neighborhood of another color and our knees go shakity-shake and our car windows get rolled up tight and our eyes look straight. Yeah. That is how it goes and goes.” Are there other passages of “otherness” that stay with you? DSL: I felt Esperanza’s isolation keenly when she wasn’t allowed to eat lunch with the other kids at the canteen when she wanted to, when the nuns further isolated her that day by calling out her mother’s false statements. And then the section with the boy Geraldo, how he was alone when he was hurt and had no family. I will also always remember the chapter on the four skinny trees and how Esperanza cannot relate to anyone, not even her sister, but only to the four trees who are alive despite their circumstances. 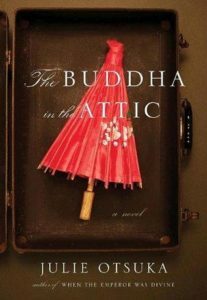 I loved this book because of its first person plural litany, how the collective “we” somehow gives platform to so many individual Japanese picture brides who came to the US before World War II and the lives they created as increasingly unwelcome immigrants, culminating in the devastations resulting from internment. DSL: I felt my heart breaking. I reread this book once a year, and each time I’m crying and angry by the time I reach the final section. In painful detail she describes what happened to those families, how erased they were, how replaced they were, and how forgotten, their homes and livelihoods and possessions taken from them—a perfect illustration of what it means to be other in America. Migritude is the story of a family as it crosses three continents and how the geographies of the soul change with each shift, and how we are all immigrants and we all have vastly different storytelling techniques, whether in visual or performing arts, a retelling and reclaiming of our histories. 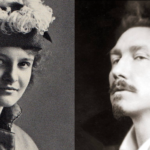 It is non-fiction and it is poetry and it is performance. And it is brilliant and heart-racing and beautiful. 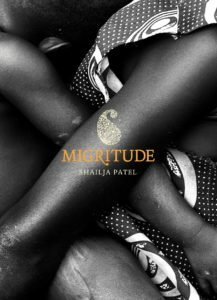 JC: Patel created the term “Migritude,” merging “migrant,” “attitude,” and “negritude,” in her hybrid book, which was originally a 90-minute spoken word performance. How do you think the performance aspect of its origins influences the story? DSL: I could really hear this book as I was reading it, so it made a lot of sense to me when I first learned it was a one-woman show before it was a book. Migritude is very effective because two of my senses are always engaged—visualizing what is happening on the page, and hearing a voice delivering these powerful, painful stories. At once a microscope and telescope. Rankine employs second person, the “you,” putting the reader in the simultaneous position of a bystander watching a car accident and the person actually in the car accident. Social racism unpeeled, painfully, beautifully, uncomfortably. You are squirming in your seat as you read, and you are right there feeling the thousand bee stings of micro- and macro-aggressions. 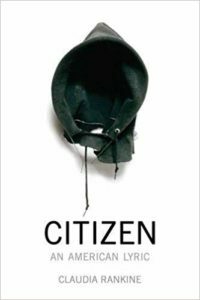 JC: Citizen made history for having been the first book to be a National Book Critics Circle finalist in two categories (poetry and criticism), and was given the award for poetry. Can you give some examples of her powerful use of second person? DSL: The two sections that will stick to my skin forever are 1. the interaction between the You and the Therapist who has only spoken to the You over the phone and who reacts badly when the You is discovered to be a person of color standing outside the therapy office. That’s happened to me before, and that passage will always trigger that painful memory for me; and 2. the You being pulled over, the You that always fits the description of the suspect who’s done something wrong, even if the suspect looks nothing like You.